Image credit goes to Becky Cloonan. It seems as if 2016 is the Year of Vinyl for classic video game soundtracks. Last month, for example, saw the release of Yuzo Koshiro’s Streets of Rage 2 score on vinyl record through London-based label Diamond Discs. Now, thanks to Austin, Texas-based retro art gallery Mondo, the soundtrack for Konami’s 1986 classic Castlevania will also be undergoing the vinyl treatment. Mondo – who is mostly known for releasing high-demand custom movie posters and has released vinyls of scores for movies like Back to the Future and Army of Darkness – announced on Tuesday that they are partnering with Konami to produce prints, soundtracks, and collectibles based on the Japanese gaming veteran’s classic titles. The first offering among these releases is the aforementioned Castlevania soundtrack, which will make its first appearance at San Diego Comic-Con this July. Composers Kinuyo Yamashita and Satoe Terashima, for whom their first credited work was Castlevania, would later go on to compose soundtracks for future Castlevania titles. Megaman X3 and Parodius also feature in their histories with video game soundtracks. 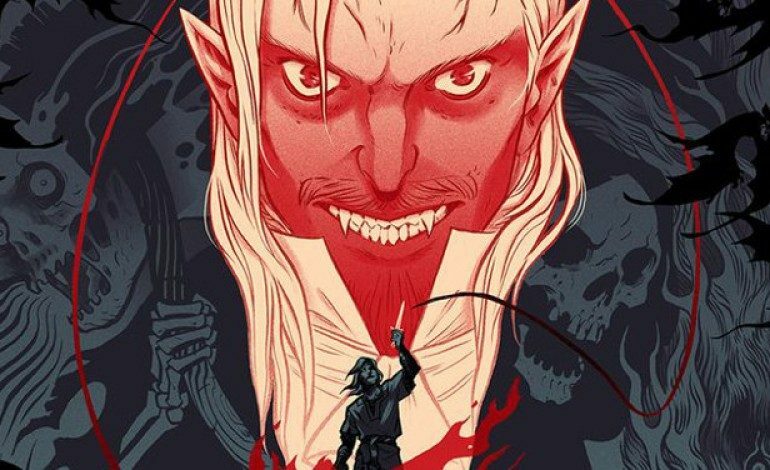 This Castlevania record isn’t the end of the Dracula line for Mondo. They have also announced that they will be releasing vinyl recordings of the soundtracks for Castlevania 2: Simon’s Quest, Castlevania 3: Dracula’s Curse, Super Castlevania 4 and Symphony Of The Night (the lattermost of which will also receive a yet-to-be-revealed polystone statue, which will also be available at SDCC this summer). Other Konami classics, like Contra and the original Silent Hill, will also have their soundtracks transported to vinyl at an unnamed date in the future. The Silent Hill vinyl release follows in the wake of a Change.org petition from last year, which requested Akira Yamaoka’s acclaimed work be released on vinyl record. 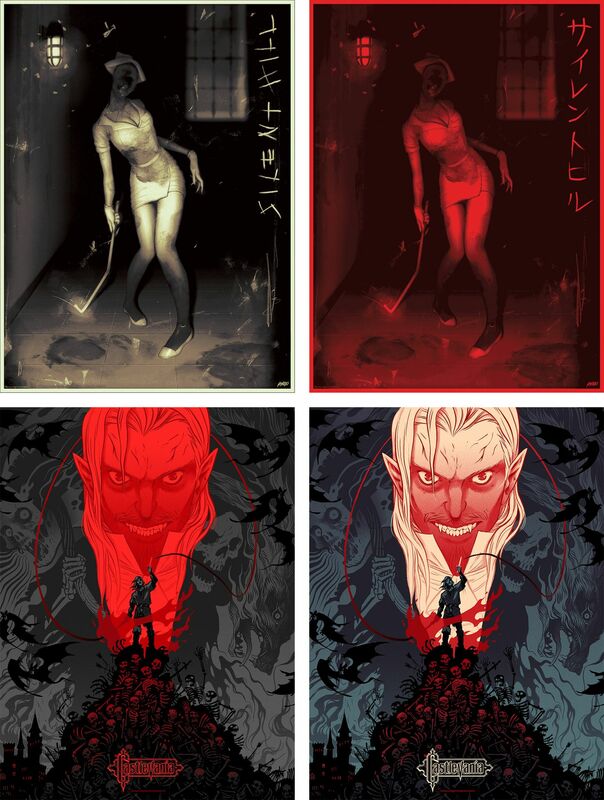 To start off the Konami train, two 18-by-24 inch posters (pictured above) will be available for purchase at Seattle, WA’s Emerald City Comicon this week: a Castlevania poster by Becky Cloonan (limited to 300 copies), and a Silent Hill poster by Sam Wolfe Connelly (200 copies). Any remaining posters will be sold through Mondo’s website. No word has yet been given on the Castlevania vinyl’s pricing, but Konami fans and Belmont descendants alike would do best to keep an eye and an ear out for more Mondo news regarding their beloved series – or sworn vampire nemesis, depending on where you’re coming from.